On the first Monday in each month, except Bank Holidays, when it meets on the second Monday instead. We meet at 7:30pm at a pub called The Crown Hotel in Great Moor, Stockport. We start with a drink before the meeting, and have another drink after the meeting. Instead of a Christmas dinner, we usually have a Sunday lunch at a local hotel towards the end of January. 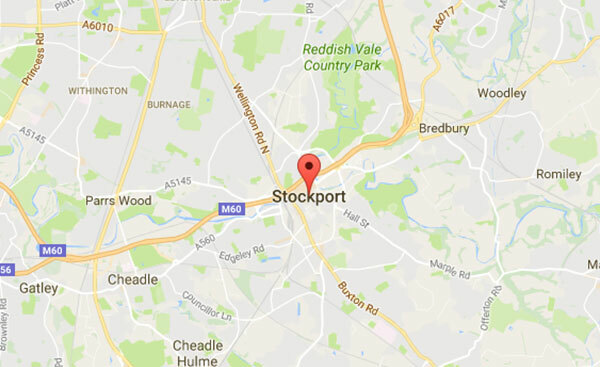 Stockport Branch is represented on the local Disability Forum which meets quarterly, and works with Stockport Council and other organisations representing people with all kinds of disability. We are also represented on the local Transport and Access Forum, which meets at the Town Hall on the second Wednesday in each month. We are also represented on the Inclusive Mobility Involvement Group, which works with Intelligent Transport Systems, discussing transport issues and way-finding systems. We work very closely with Disability Stockport. We are also represented on the Greater Manchester Police Independent Advisory Group.